Banita Sandhu is a British-Indian model as well as actress who appear in Bollywood movies and television commercials. She has done fantastic job in Shoojit Sircar’s October movie opposite Varun Dhawan. After that she caught the attention of audience. So, today here we are going to tell you about the Banita’s personal as well as professional life. Such as – Banita Sandhu age, father, wiki, family & etc. Banita was born in United Kingdom, she started her career as a model in United Kingdom. She has also appeared in various television advertisements in India. And she became popular with her first advertisement series of Fun Always on with Vodafone following which she starred in a double-mint advertisement. In 2016, Sandhu was seen in a music video “Ek Ajnabee Haseena” a reprise of the old song sung by legendary singer Kishore Kumar. Recently, she has done a Bollywood movie “October” opposite to Varun Dhawan and she nailed it. Best Known For Banita Sandhu best known for her role in October movie. 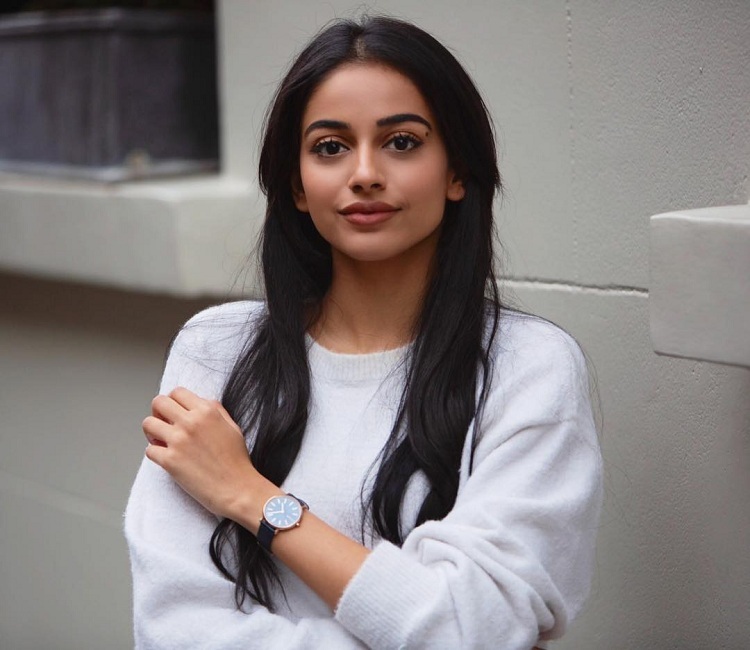 Banita is an Indo-British actress with an NRI Punjabi family background. At the age of 11, she started working as a child artist in various TV shows. When she turned 18, she moved from Wales to London to start her degree. She became an internet sensation with Vodafone U TB ad commercial, and Doublemint’s “Ek Ajnabee Haseena Se” song. Screenwriter, Juhi Chaturvedi, who wrote films, such as – ‘Piku’, and ‘Vicky Donor’, first spotted her when she was doing a Doublemint ad commercial with her. At that time, Juhi was also working on the script of the film ‘October’, who found Banita perfect for her script.